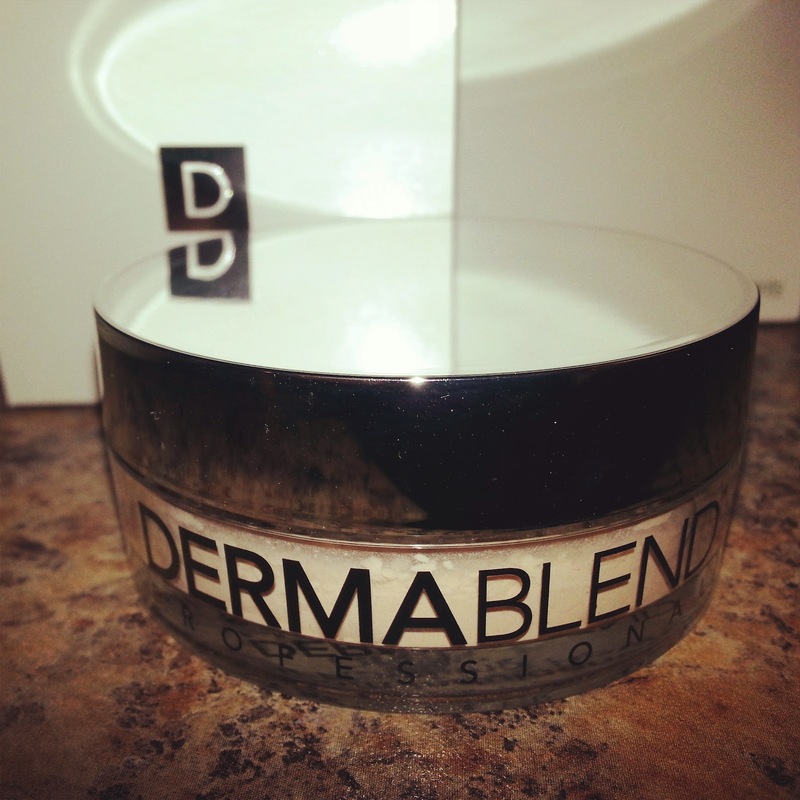 Created in 1981 by an American dermatologist Dermablend is the #1 Dermatologist Recommended brand for coverage. 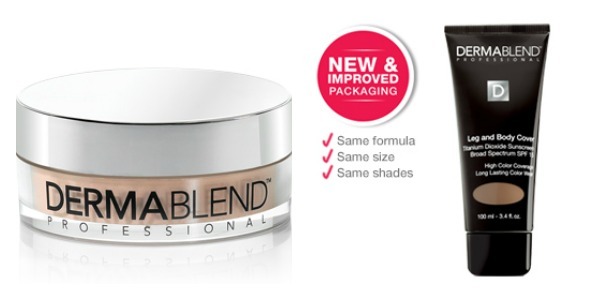 For the past 30 years Dermablend has been recognized as an expert given the exceptional performance of Dermablend products in terms of coverage, wearability and skincare benefits. High performance wear and coverage has ensured its well-known and renowned recognition by the medical community and professional makeup artists. Don't know what shade you would be? 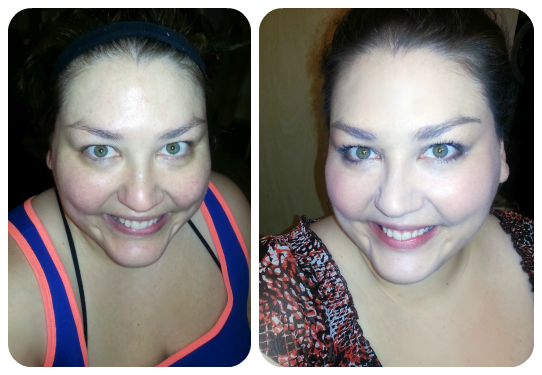 Before & After with Dermablend Foundation, Concealer and Powder. These made my skin look seriously flawless! Smooth Indulgence Foundation: As you can see, this really evened out my skin-tone beautifully. I'm prone to freckling in the spring and summer and also have some unwanted redness and discoloration to my skin. The foundation provided medium coverage as it states, but I found it to be a little too heavy for my skin. I also noticed it didn't seem to minimize some of the pores on my nose and chin and it stuck to some dry spots and fine lines. This comes with a sponge applicator which I loved. It was bigger than the ones I buy from the drugstore and super cushy feeling! It definitely helped me get even coverage. This definitely covered up any imperfections I had. Retails $32. I love the style of the concealer which almost looks like a thin tube of lipstick. It is super easy to apply and the colors I used which were Ivory and Natural both were great fits for my skintone. I think Natural may have been a pinch better match right now and it had more salmon tones to counteract any dark circles. The only thing I had to remind myself was after applying this to a pimple not to apply it around my eye area, etc. I would suggest either using your fingers to apply and then washing after each application or sanitizing the stick concealer with a spray of alcohol solution or cotton ball and alcohol so you aren't spreading bacteria around or putting anything near your eyes after for example applying concealer around your nose. (My mom is a microbiologist, hence my acute awareness of germs, even my own!). This had really good coverage and was easy to apply. With the medium coverage of the foundation, I didn't need to apply much concealer but the spots where I needed it, it definitely improved the appearance of any blemish or redness. Retails $24. Smooth Indulgence SPF 20 Concealer: This comes in a squeeze tube unlike the quick fix concealer which comes in stick form. This has a nice thicker creamy texture to it that blended well with my skin and definitely covered up what needed covering up. I also love that this contains SPF in it, as I get older, I am more and more conscientious of using products which protect my skin. 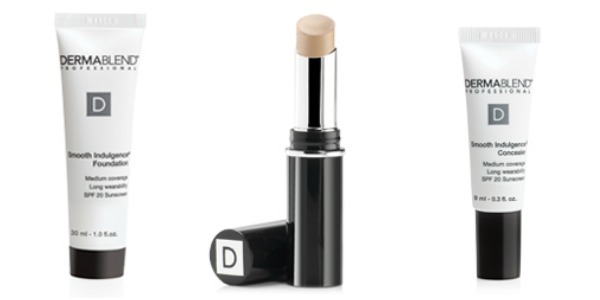 If you're looking for amazing coverage and long wearing properties, definitely check out this concealer. Retails $22, .3fl oz. What are your thoughts on these products? Have you tried DermaBlend before? Wow, your skin looks amazing! These products sound so great. How to De-Stress: My Top 50 Tips! Whats in store for InTruBeauty?